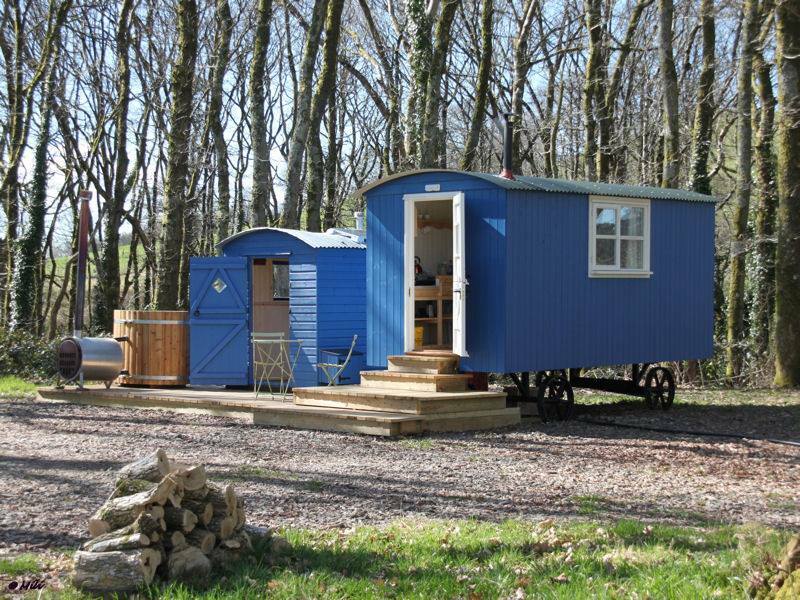 Mandinam is situated in Llangadog, Carmarthenshire and is a restful glamping site nestled amongst a beautiful part of the Welsh countryside. Mandinam boasts 450 acres of parkland and woodland in which guests are free to roam and take in the surrounding countryside and views of the Towy Valley. 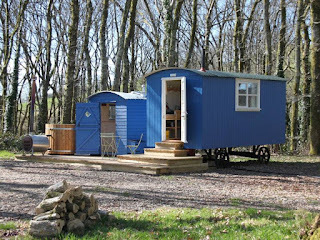 The Shepherd’s Hut at Mandinam was set up to offer the experience of living in the countryside while enjoying the comforts of our eco friendly hut. This wonderful open space incorporates “green” with luxury. This large hut sits by a wildfowl lake. A beautiful metal verandah is in place before the front door, and from there you could drink your morning coffee on a fine day, or enjoy a drink in the evening in the wonderful peace and quiet while you look at the magic view to the distant iron age fort. 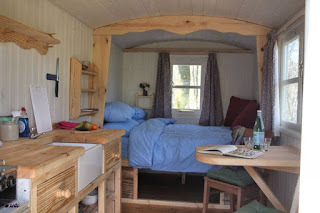 We have a gypsy van that offers a perfect place to enjoy solitude as its located in its own private part of the estate. This van has been newly furnished and now has the benefit of a hot tub. This is a place for everyone. Dreamers, greenies, adventurers or just those of you who simply want to get away from it all. 5 Remarkable Road Trips Across the UK & Ireland!